This time of year is pretty fantastic—every human is given the opportunity to dress up their pet(s). Should you decide Y.E.S. to costumes on behalf of your fur-kid(s), know that we fully support you! Please don’t tell them we said that. But please DO snap some pics and share them with us #outugo. 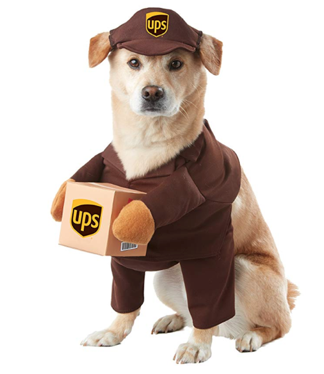 UPS delivery dog. The irony. 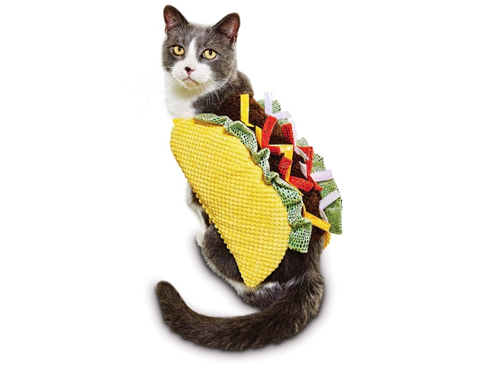 Everyone loves a walking taco. This entry was posted in Voice of the Top Top Dog on October 8, 2018 by Allie. On a smartphone or tablet? Lynn on Gobble Gobble, Pet Parents! Christine Bender on Happy September Parents!